Australia’s most populous state, and home to Sydney, the nation’s de facto capital, New South Wales has a variety of habitat from subtropical rainforest, through montane Antarctic Beech forest, Eucalypt woodland and desert. I’ve divided this page into three sections: the South East (the area around Sydney and south); North of Sydney; and the Outback. Sydney is one of the world’s most beautiful cities. The botanic gardens, in the centre of town, are home to a camp of Grey-headed Flying Foxes, and they are easy to find. They stream across the harbour at night. Monthly pelagic birdwatching trips (see Tony Palliser’s Home Page for info on these trips) leave Sydney on the second Saturday of the month and head out 20 kms or so to the edge of the continental shelf. Rissos Dolphins, Pantropical Spotted Dolphins and Sperm Whales are among the more interesting cetaceans I’ve seen on these trips, with Common Dolphins and Oceanic Bottlenose also pretty regular. Humpbacks of course are common in June/July and again in October/November. Whales sometimes venture into the harbour itself: I’ve seen Southern Right Whales in the harbour (just a few hundred metres off the Opera House) and a Dwarf Minke Whale a bit further out, but still inside the harbour. There is good shore-based whale watching from Cape Solander in Botany Bay National Park. Volunteers man lookouts there to record data on passing Humpbacks each winter. Southern Brown Bandicoots visit gardens in some of the suburbs near Kuringai Chase National Park. I see one visit the deck of a house I was staying at in Calvert Parade on Newport Beach. Royal National Park, south of the city is one of the world’s first national parks and one of the most scenic in Australia: coastal heathland, great ocean views and rainforest. Grey Kangaroos and Black (Swamp) Wallabies are easy to find. The park’s population of feral Rusa Deer used to hang around the Era headland (near the Garrawarra Car Park). I guess they are still there, though they are damaging the park and many people want them culled. In winter 2005 I met up with Jamie Harris, a PhD student, to take a look at his small mammal trapping and Pygmy Possum radio tracking in Royal. We were working in the heathland and caught Bush and Swamp Rats, together with Eastern Pygmy Possums and my first New Holland Mouse. 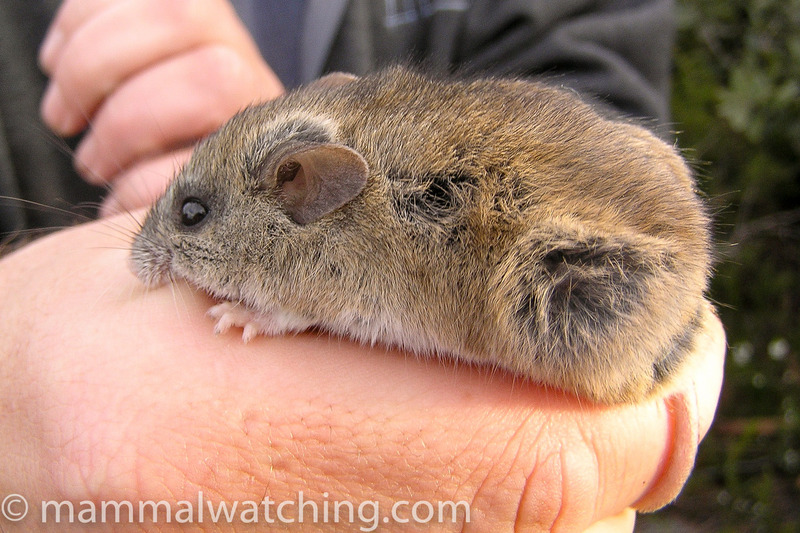 The populations of some of the park’s small mammals – particularly the New Holland Mice – seem quite dependent on the fire history and they move around a bit, so it is pretty pointless trying to recommend places to look for some species. Pygmy Possums might turn up on any flowering Banksias. Ringtail and Brushtail Possums are quite common, while Feathertail Gliders are often seen during spotlighting forays around the rainforest on Lady Carrington Drive (though I have not seen them there). 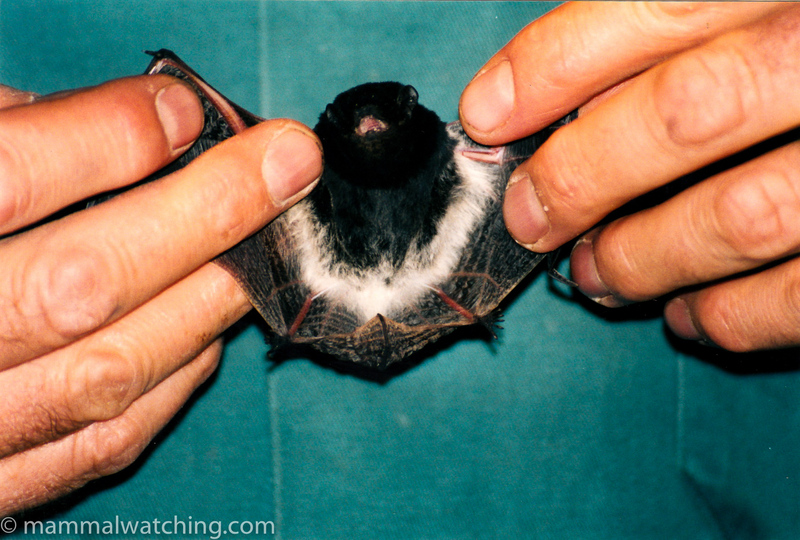 The NSW National Parks and Wildlife Service (NPWS) are pretty progressive in trying to get the local community involved in their work, so they often look for volunteers to help with fauna surveys in Royal, including bat catching. Steven Anyon-Smith probably knows more about the park’s fauna than anyone else and lives nearby. He could be worth emailing if you want to have a look around. Drop me a note if you want to get in touch with him. Wollongong, on the coast south of Sydney, is the base for another monthly pelagic birdwatching trip. And this trip has notched up a remarkable list of cetaceans over the years (at least 30 species!). The most interesting encounter I’ve had during about 20 trips was with a pod of Pygmy Killer Whales in April 2002. The Barren Grounds Nature Reserve, near Jamberoo, is less than an hour’s drive from Wollongong. Its perched at the top of the escarpment that marks the start of the southern highlands. The NGO Birds Australia used to manage the reserve but pulled out in 2004. They ran various fauna courses there including small mammal and bat trapping. It was a good spot for bats, and during two nights trapping in 2000 we caught Eastern, Southern, Little and Large Forest Bats, together with Chocolate Wattled and Lesser Longeared Bats. Common Wombats were easy to find wandering around near the accommodation block, and Long-nosed Potoroos were common in the bush that flanked the entrance drive (easiest to spot in the early mornings I found). The departure of Birds Australia means, I imagine, that there is less fox baiting (perhaps none now) and so this species might have declined. A Tiger Quoll was apparently a quite regular visitor to the compost bin near the Warden’s House, though I never saw it. Brown Antechinuses lived in the accommodation block and would often scuttle across the walls. Eastern Pygmy Possums and Dusky Antechinuses would also turn up there too, though I only saw the Pygmy Possums during some fauna trapping in 2005 (Pygmy Possums are pretty hard to catch in Elliot traps but a mate of mine was having quite a bit of success by tying the box traps to the limbs of flowering Banksia trees and dousing them in sugar solution). Just outside the entrance gate is a patch of wet forest that borders the road that runs past the reserve. This is a good spot to look for Greater Gliders. Kangaroo Valley is south of Wollongong. A popular spot for a weekend and a contender for Common Wombat capital of Australia. There are lots of nice eco-cottages for rent. I stayed in a cabin that came complete with Dusky Antechinuses living in the ceiling. Moving south, Jervis Bay has a resident pod of Inshore Bottlenose Dolphins and nearby Booderee National Park, managed by the Australian Commonwealth rather than the New South Wales government, has a diverse small mammal fauna including White-footed Dunnarts. There is quite intensive fox baiting underway in the park together with a large long term mammal trapping program. You could contact the biology department at the Australian National University if you wanted to volunteer to help check traps. Bateman’s Bay is Canberra’s closest coastal resort. The camp ground at Pebbly Beach is usually home to some very tame Eastern Gray Kangaroos, and large Goannas are frequent visitors too. In 2004 at least, Bateman’s Bay was a great place to see Yellow-bellied Gliders: one of my favourite Australian mammals (not least for their extraordinary call that was once described to me as a mixture of a stuck pig and a chainsaw, and a nighttime noise of the bush that can terrify campers). Yellow Bellied Gliders are not all that common in Australia. To reach the site drive south along the Princess Highway. As soon as you leave Bateman’s Bay you enter Mogo State Forest. Turn off to the left after a few hundred metres and drive up to Round Hill and the fire tower. Take a walk with a spotlight not long after dusk. If the Gliders are around you should hear them. Kosciuszko National Park is a couple of hours drive from Canberra. Its main claim to mammalian fame is the Mountain Pygmy Possum, pretty much restricted to this park and a couple of sites in Victoria. That very small distribution coincides largely with the ski resorts which when coupled with threats from climate change, fox and cat predation and reports a couple of years ago that the Bogong Moths it feeds on in the summer were laden with arsenic, help explain its endangered status. Late each year a team from New South Wales NPWS run a couple of weeks trapping up around Charlottes Pass and take volunteers to assist. As well as catching quite a few Mountain Pygmy Possums, we also caught Broad-toothed Rats (quite common on some of the traplines), Dusky Antechinuses and Bush Rats. Kangaroos, Possums and Wombats are common across the park. The far south of New South Wales has a lot of state forest and national park land. There is good Humpback Whale watching out of both Merrimbula and Eden in season (June/July and October/November). The trips to Montague Island from Merrimbula are good and there’s a better than usual chance of seeing Pilot and False Killer Whales in that area (though still a pretty slim chance). Montague Island is home to both Australian and New Zealand Fur Seals. The watching trips out of Eden are probably the best in Australia. The tourist trips go out for about 3 or 4 hours in Humpback season and usually turn up Common Dolphins and sometimes Southern Right Whales. Bryde’s Whales are reported once a year on average I guess. I went to Eden and Merrimbula a few times to take all day whale watching trips (especially chartered by an enthusiastic group of cetacean fans). They notched up an impressive list of cetaceans including Killer Whales (at least twice in early Octobers), False and Pygmy Killers, Rissos Dolphins, Pilot Whales, Sperm Whales (for a few months in winter 2005 at least 50 were hanging around on the edge of the shelf), a Bryde’s Whale as well as Humpbacks, Common and Inshore and Offshore Bottlenose Dolphins. We also saw beaked whales on occasion but never well enough to identify them. There are usually fur seals swimming around the rocks off Greencape Lighthouse. The little hamlet of Cathcart, near Wyndham, is a nice base for exploring some of the forest as bit further inland, like the imaginatively named South East Forest National Park. I visited here several times to accompany Doug Mills from the New South Wales park service with a Smokey Mouse (Pseudomys fumeus) survey he was running. 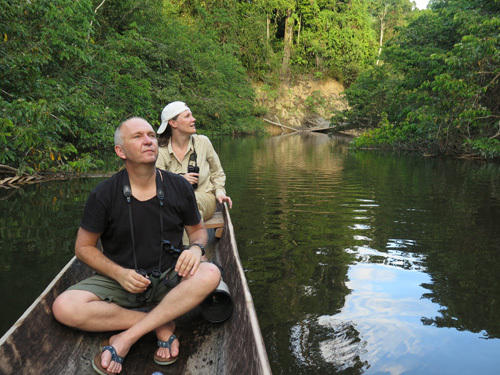 I saw one eventually – and very nice it was too – but not before countless Bush Rats, Agile Antechinuses and Swamp Wallabies (which are particularly common in the forest). Doug caught at least one White-footed Dunnart in the course of that survey. I helped with another fauna survey in the South East Forest National Park further inland and not far from Bombala. The trapping was disappointing – it used to be a good area for White-footed Dunnarts, but we didn’t find any. But we did see Bush Rats, Agile Antechinuses and Brushtail Possums. I also saw my first Feathertail Glider here and learnt some tips for finding them from Rod Kavanagh from NSW State Forests. We spotlit one in bush by the edge of the Coolumbooka Forest Way, just south of the turnoff to Waratah Road. This is a good area apparently. Feathertails had eluded me for a few years and I learned from Rod that looking carefully through binoculars at every flowering gum tree (my hitherto unsuccessful technique) is not necessarily a good way to see this animal. He recommended I keep my eyes peeled for something moth-like floating between the trees (and I should give “falling leaves” a second glance too). The bright white underside of the gliding membrance is also a give away. Feathertails seem to prefer multi-layered forest. The one we saw fell to the ground and we pursued it through the undergrowth. I have not spent a great deal of time in central and northern NSW. As you head north some different species come into range but I can’t think of many that aren’t easier to see in Queensland. Wyong State Forest is not far north of Sydney. Its home to Brush-tailed Rock Wallabies and a good spot for the rare Parma Wallaby. We saw one while driving the dirt roads at night. The Capertee Valley, near the western edge of the Blue Mountains, is a favourite spot for birdwatchers and worth a visit for the views alone. One quite interesting species I saw a couple of times during a winter weekend here was a Yellow-footed Antechinus (both animals were active in the daytime). One was running up a gum tree, the other coming in and out of the stone work on a old road bridge. Barrington Tops is an excellent national park that sits on the Gloucester Ranges, less than 2 hours drive from Newcastle. The park rises from sea level to 1500metres, and includes rainforest at the lower levels and Antarctic Beech Forest on the mountain tops. Red-necked Pademelons and Bandicoots were quite common around the campsite when I was there in 2000 (I think the Gloucester River campsite) and a Tiger Quoll had been seen now and again. I visited twice. Once was for a field trip with the Australian Bat Society, when we caught quite a lot: Gould’s Longeared and Australian Myotis; Eastern Horeshoe Bats; Eastern, Large, Southern and Little Forest Bats; Chocolate Wattled Bats, and Little Bent-wings. We also caught Common Bent-wings nearby in Maitland. Other mammals included Greater and Feathertail Gliders and Common Ringtail Possums. Further north, Dorrigo National Park has some good rainforest and Red-necked Pademelons were very common around the picnic areas at dusk. The New England National Park, is close by, and has fabulous Antarctic Beech Forest. There were lots of Greater Gliders around Thungutti Campsite there, and I saw my first Ringtail Possum nearby. Inland from Coff’s Harbour, the Mount Hyland Nature Reserve, near Ebor, is another good spot and off the beaten track. Its one of the best sites for the rare Hastings River Mouse (Pseudomys oralis). One spot is the junction of Grafton Range Road and Flat Rock Road but they move around a bit. I think you’d have next to no chance seeing them in a spotlight beam – they were living in forest with a thick understorey and they seem to den in hollow logs. Bush Rats and Subtropical Antechinus (split from Brown Antechinus in the late 1990s) are also abundant. Guy Fawkes River National Park, close by, is somewhere I have only driven through. But it is supposed to be a good spot for Tiger Quolls, though they are by no means easy to see of course. Broadwater National Park, is on the coast near the Queensland Border. Although I have never seen anything all that exciting there I do love the park. I stayed in a small beach shack that you could rent there where Brush-tailed Phascogales were occasional residents in the roof. I didn’t see them on either of my trips but I loved the cottage and I guess the Phasccogales are probably still around from time to time (they have to one of the coolest Australian mammals and also not easy to see). I haven’t spent as much time in outback New South Wales as I would have liked. I visited Gundabooka National Park (near Bourke) briefly and it was a nice spot. It has – or used to have at least – one of NSW’s only populations of Kultarrs. They were supposed to hang out around the Mulgowan Flats area of the park. But while the rangers were good enough to tell me where the Kultarrs were before I arrived, they neglected to mention I needed to arrange to pick up the key to get into this locked part of the park. It was Easter, the rangers were on holiday and I never got the chance to go looking for Kultars (a species I eventually saw in the Northern Territory). The Pilliga State Forest is home to the tiny Pilliga Mouse, which I helped trap in 2001 (it used to be a separate species but is now generally thought to be conspecific with the Delicate Mouse). A quite well known cave in the park (and easy to access – just ask the rangers for directions) is home to a colony of Little Pied and Eastern Horseshoe Bats. Koalas are quite common here too, and Eastern Pygmy Possums often turned up in the modified Elliott traps that the researcher was using to catch his Pilliga Mice in. Further north, near Barrabra, some old gold mines are home to a colony of Large-eared Pied Bats (Chalinobus dwyeri). Sydney, 2018: Valentin Moser’s notes on where to see mammal, birds and more around Sydney. Tasman Sea Cruise, 2018: Steve Anyon-Smith, 2 weeks & 12 mammals including Arnoux’s and Cuvier’s Beaked Whales and False Killer Whales. 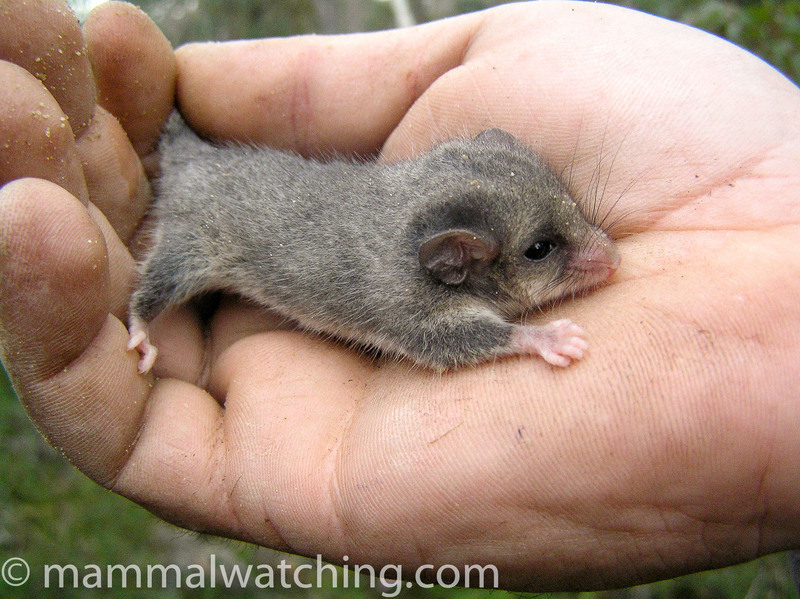 W.A, VIC and NSW, 2017: Dominique Brugiere, 1 month with species including Western Pygmy Possum, Numbat, Quokka, Brush-tailed Rock Wallaby and Common Dunnart. New South Wales and the ACT, 2017: Jimmy Lamb, 1 week with species including Long-nosed Bandicoot, Yellow-bellied, Sugar and Greater Gliders, Echidna, Platypus and an Eastern Pygmy Possum. NSW & Qld borders, 2016: Tim Bawden’s acccount of a long weekend looking for wildlife with mammals including Hump-backed Dolphin, Fawn-footed Melomys, Rufous Bettong and Chocolate Wattled Bat. Queenland and New South Wales, 2011: Vladimir Dinets, 3 weeks & lots of mammals including a Giles’s Planigale . Australia and New Zealand, 2011: Matt and Maureen Steer, 12 weeks & 50 species including a Sugar Glider in NSW. Around the World (Australia), 2004: Richard Webb, 6 weeks. The New South Wales National Parks Service Wildlife Atlas is a good way to get locations for hard to find species in that state.